Coffee is my passion. I love all things coffee. Good quality, proper coffee is a beverage to be savoured, enjoyed. It livens up all your senses and is a welcome companion throughout the day. So, we sold the business, begun home educating our children and I furthered my training with the Specialised Coffee Association of Europe to become an authorised certified coffee trainer. Our new life style enabled us to spend valuable time growing and learning together but also travelling. We lived in Greece for 2 years where I worked but where also as a family we were involved in volunteering and community work with vulnerable people (homeless, single parents, refugees, Roma and women trafficked for prostitution). Witnessing such desperate need, such destitution and utter brokenness especially as a husband and father, brought me to my knees. I felt I had to do something more and decided to use my skills to help get people on their feet. Both projects are going very well and it is truly rewarding and encouraging to see these people, once utterly broken, gain a sense of self, a sense of value and to go out into the world with confidence and purpose. 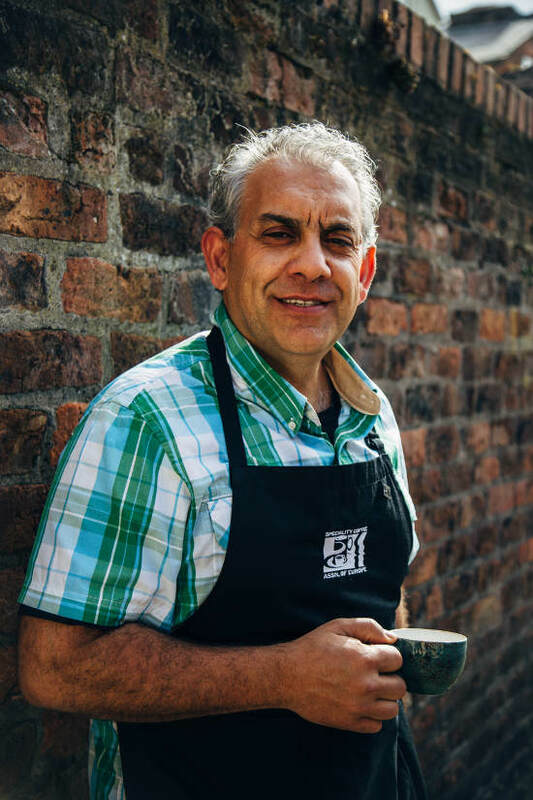 I am now based in the UK with my family and travel to provide training to clients in cafes, restaurants, hotels, to help individuals gain their qualification as baristas so that they can find work or so that they can start their own businesses. And parallel to that I am building other non for profit projects to help more and more vulnerable people gain the qualification and get on their feet. © 2016 YourCoffeeCoach.com. All Rights Reserved.